Why fail to play DJI Mavic Pro 4K video on 4K TV? Some 4K TV models have a USB port to play media files stored in USB devices. You should check the manual for your 4K TV first, it lists the supported containers, codecs and frame rates available to be played back over the USB port. What 4K format are supported on your 4K Ultra/HD TV? Generally speaking, whatever the TV brand you owned(Samsung, Panasonic, Sony, LG, Vizio…), it always support the world wide H.264 MP4 format, just reformat the MOV files from your DJI Mavic Pro 4K into H.264 MP4 format, it recommended to transcode all the video in same folder together, in order to avoid the incomplete videos when playback. Some 4K TVs are set currently on the market to include a high efficiency video codec (HEVC) also known as H.265 for streaming UHD content via the Smart TV interface. You can transcode the DJI Phantom Mavic Pro 4K MOV into the H.265 (HEVC) codec. Here, you can easily complete the format or codec transcoding process by downloading Pavtube Video Converter, the program supports batch conversion mode, so that you can load multiple DJI Mavic Pro 4K video into the application for conversion at one time. With the program, you can easily transcode DJI Mavic Pro 4K H.264 MOV to 4K TV compatible H.264 MP4 or H.265 (HEVC) codec. For those people who are owning the popular brand TV like Samsung, Sony, Panasonic, LG, etc, you can also use our application to direct produce TV brands preset profile formats with the optimal playback settings. Tips: The program supports hard-ware encoding acceleration. You can get up to 6x H.264 codec encoding as long as you run your computer on Graphic cards that supports Nvidia CUDA or AMD App technology and up to 30x H.265 codec encoding as long as you run your computer on Maxwell (GM206) or Pascal based Graphic cards that supports Nvidia NVENC technology. 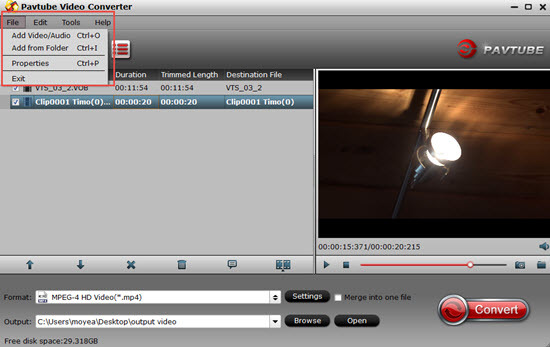 For Mac users, please go to download Pavtube Video Converter for Mac to perform the conversion on macOS High Sierra, macOS Sierra, Mac OS X El Capitan, Mac OS X Yosemite, Mac OS X Mavericks, etc. Step 1: Load DJI Mavic Pro 4K video. Download the free trial version of the program. Launch it on your computer. Click “File” menu and select “Add Video/Audio” or click the “Add Video” button on the top tool bar to import DJI Mavic Pro 4K video files into the program. 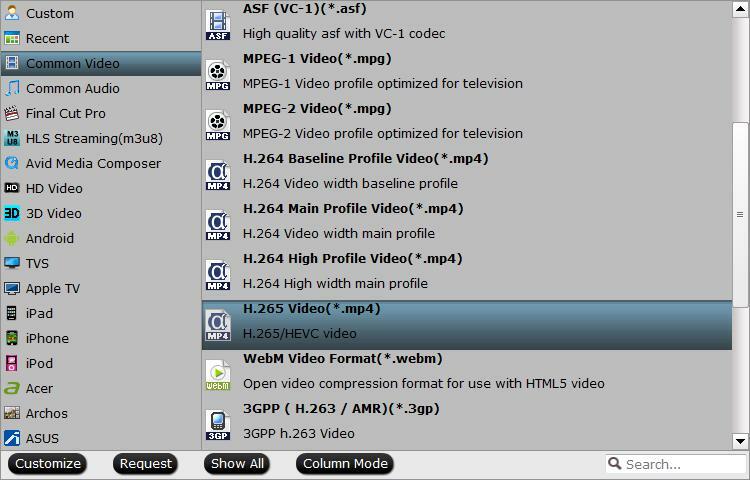 Clicking the Format bar, from its drop-down list, select 4K TV supported 4K H.264 or H.265 format. 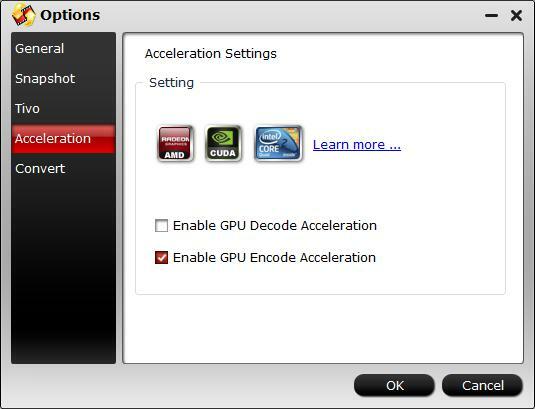 Step 3: Enable GPU Encode Acceleration. 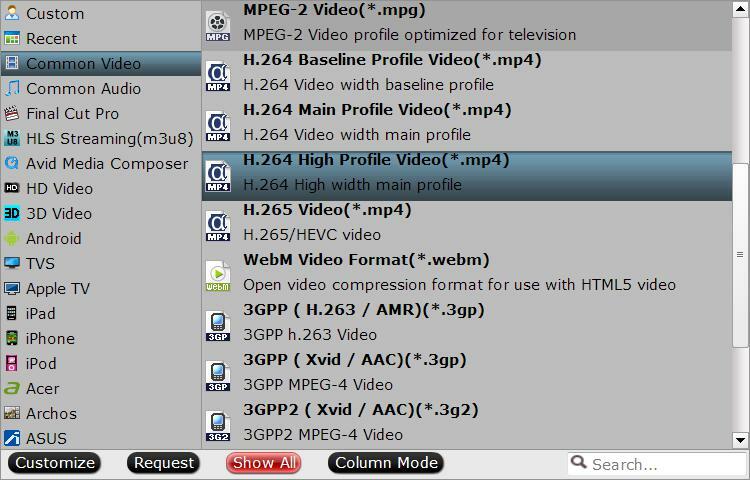 Click “Tools” > “Options”, in the opened “Options” window, click “Acceleration” menu, then check “Enable GPU Encode Acceleration” otpion so that the program will accelerate converion speed when encoding video to H.264/H.265 codec. After all setting is completed, hit the “Convert” button at the right bottom of the main interface to begin the conversion process from DJI Mavic Pro 4K to 4K TV playable 4K H.264 or H.265 formats. When the conversion is finished, click “Open Output Folder” icon on the main interface to open the folder with generated files. Then you can smoothly play converted video on 4K TV with ease.